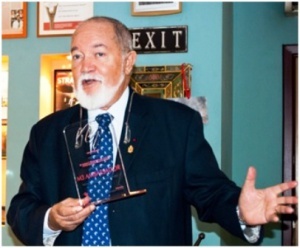 It is announced from the office of Seychelles’ founding President that founding President Sir James R. Mancham will leave Seychelles this weekend on a mission to Europe focused on the initiative taken by the University of Seychelles to create a ‘Sir James Mancham International Centre for Peace Studies and Diplomacy, Seychelles’. In Paris, Sir James will be hosted by Monsieur Olivier Giscard d’Estaing, one of the co-founders of INSEAD, which is regarded as one of the world’s leading and largest education institutions with campuses in Europe (France), Asia (Singapore) and Middle East (Abu Dhabi). In the space of five decades, INSEAD has developed from an entrepreneurial venture to an internationally regarded institution. This year, INSEAD’s MBA programmes have been ranked No.1 Business School of the World by The Financial Times. In Paris, Sir James is also scheduled to have a meeting with Ambassador Jean-Christophe Peaucelle, conseiller pour les affaires religieuses at the French Ministry of Foreign Affairs. In Paris, Sir James will be assisted by H.E. Mr Bernard Shamlaye, Seychelles Ambassador to the French Republic. From Paris to Hamburg, Germany where Sir James is expected to have follow up discussions with members of the Board of Directors of the World Future Council (WFC), who have expressed keen interest in an involvement with the University of Seychelles Peace Centre initiative. The World Future Council is an independent body formally founded in Hamburg, Germany, on the 10th of May 2007. Its main objective is to speak on behalf of policy solutions that serve the interest of future generation. The WFC has special consultative status with the United Nations’ Economic and Social Council. From Hamburg to London, Sir James will have a working lunch with the Secretary General of the Commonwealth, Baroness Scotland, PC QC, who took office as Secretary General of the Commonwealth on the 1st of April, 2016 – following her election at the 2015 Commonwealth Heads of Government Meeting in Malta. In London, Sir James will be assisted by Seychelles High Commissioner to the United Kingdom, H.E. Marie-Pierre Lloyd. Sir James is expected back in Seychelles on or about the 15th of July.